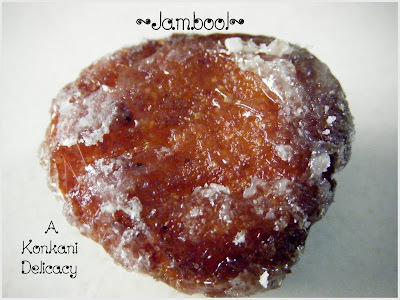 Easycooking: Jambool ~ A Konkani Delicacy!! I know the name sounds crazy,but here,let me explain.Jambool,pronounced/jum-boo-L/ is a slightly complicated but very tasty and typical Konkani sweet dish.Though I’ve seen and tasted many similar looking dishes,I don’t think I have seen the recipe being tried out by anyone else other than Konkanis,or to be precise,Kochi Konkanis. A while back,I didn’t even know making this was a laborious task and it was made only on special occasions.If left on my own,I don’t think I’ll ever go”I feel like eating Jambool,let me make some”.I’d rather call up amma or my grandmother who make this extraordinarily tasty!! Jambool in Konkani is literally Blackberry fruit,I wonder how and why this came to be called by the fruit's name whereas I don't really see any connection between the two.I rather think it is so called because of its proximity to Kala Jamoon!! Boil together water and milk. When it comes to a rolling boil,add the rava and stir continuously[just as you would for Kesari or Upma]. When it starts drying up,add ¾ cup sugar-keep stirring. Add a tsp of ghee and mix well. The rava mix would leave the sides of the pan and come together as a single mass. Switch off the flame and let it cool.Add crushed cardamom seeds to the mix. Using a masher,or the back of a spoon,mash this mix adding a tsp of ghee. Deep fry this in oil until dark brown on both sides. Make a sugar syrup of one string consistency using the remaining ¼ cup sugar. Add crushed cardamom seeds to this and immediately add the fried jambools into this and mix well so that the syrup coats the jambools evenly. As it cools down,the sugar syrup would make a nice coating to the Jambool in contrast with its dark brown colour. The first pic and the name got me thinking its close to Kaala jamun. I know its different. Looks delicious. It sounds like deep frying kesari balls. Thanks for sharing an interesting recipe. 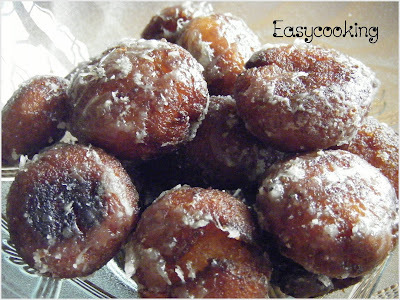 Its new to me...Looks tempting and delicious..
looks so similar to a Jamun....looks yummy!! I have never had this, but i do wish i could taste them as they look so so delcious. Tempting jambool, looks like gulab jamun...very new to me.. Wonderfully traditional sweet. 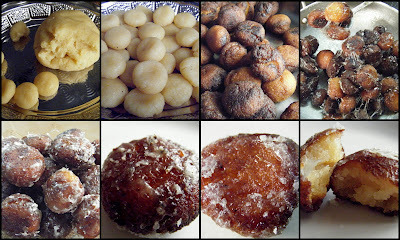 Good job D. They look like Kala Jamun but made of Semolina. Very interesting and delicious. Very interesting recipe..Gives me the urge to make some immediatly. Sounds very interesting ..I thought it was kala jamun..but well it is not..:))..
Hey, I thought it was jamun or badusha..You made it with sooji, I'll try it soon..I can never say no to sweets..
Oh man.. I miss Jambool...reminds me of Kochi, the temple.. sigh! I think I saw the recipe in Ranji's blog as well, but she didn't add milk.. I have to try your version. I first though it was kala jamun- but very different and tasty! I've never heard of this despite living in Kochi! Looks like a cross between Kala Jamun and Unniyappam. Is the white on this sweet crystallized sugar, as in Padhusha? I had this when I was a little one at one of my aunt's place...memories just flooded in and the wonderful taste as well..Thanks for sharing the delicious recipe...Cheers! I like the name jamboool and yeah it resemble a lot with kala jamoon.... But looks more yummier and tastier. Sweet looks similar to jamuns na..different one! They look amazing, EXACTLY like how I remembered! 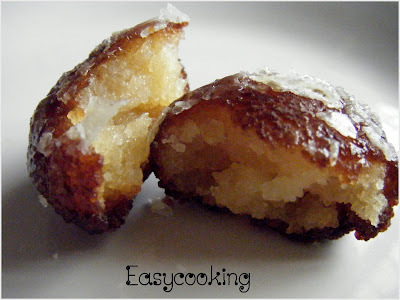 it looks so delicious....looks familiar too...maybe because it liiks like unni appam! The look of it says that its very sweet. Looks absolutely mouthwatering,I like the name too! Want to try this out soon! wow! 1st time here...ur blog is awesome ! Wonder if this is perfect with coffee, isn't it? I am planning to do this one of these days if I find time because I just feel that I am going to find a new found favorite. It's new to me. Will definitely try it out. I have a Question. Is the rava roasted or plain rava? ?